When a frequency-domain sector plot exists, these frequencies are the frequencies at which the relative sector index (R-index) for H and Q equals 1. See About Sector Bounds and Sector Indices for details. for various values of a and b. In U/Y space, this sector is the shaded region of the following diagram (for a, b > 0). getSectorCrossover finds the frequencies at which H(s)HQH(s) is singular, for H(s)=[G(s);I]. For instance, find these frequencies for the sector defined by Q with a = 0.1 and b = 10. The empty result means that there are no such frequencies. Now find the frequencies at which HHQH is singular for a narrower sector, with a = 0.5 and b = 1.5. 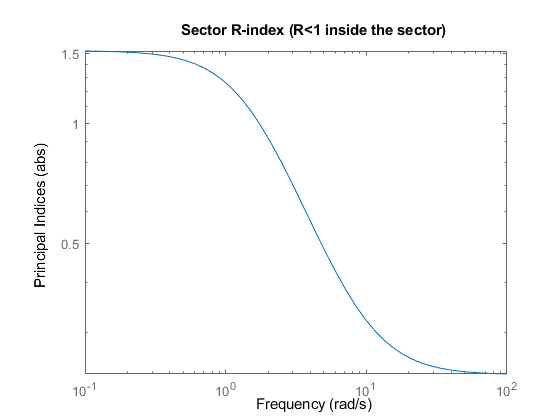 Here the resulting frequency is where the R-index for H and Q2 is equal to 1, as shown in the sector plot. Thus, when a sector plot exists for a system H and sector Q, getSectorCrossover finds the frequencies at which the R-index is 1. 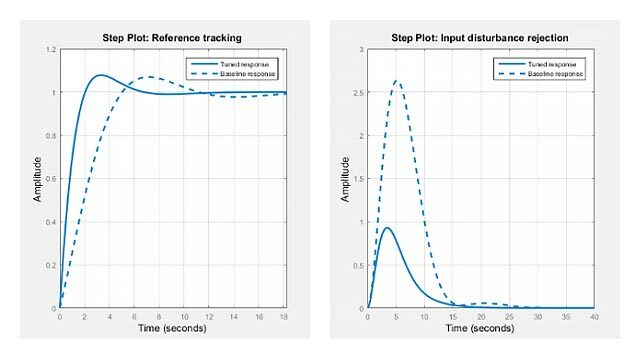 Model to analyze against sector bounds, specified as a dynamic system model such as a tf, ss, or genss model. H can be continuous or discrete. If H is a generalized model with tunable or uncertain blocks, getSectorCrossover analyzes the current, nominal value of H.
To get the frequencies at which the I/O trajectories (u,y) of a linear system G lie in a particular sector, use H = [G;I], where I = eyes(nu), and nu is the number of inputs of G.
A matrix, for constant sector geometry. Q is a symmetric square matrix that is ny on a side, where ny is the number of outputs of H.
An LTI model, for frequency-dependent sector geometry. Q satisfies Q(s)’ = Q(–s). In other words, Q(s) evaluates to a Hermitian matrix at each frequency. 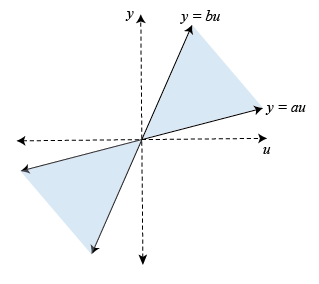 The matrix Q must be indefinite to describe a well-defined conic sector. An indefinite matrix has both positive and negative eigenvalues. For more information, see About Sector Bounds and Sector Indices. Sector crossover frequencies, returned as a vector. The frequencies are expressed in rad/TimeUnit, relative to the TimeUnit property of H. If the trajectories of H never cross the boundary, wc = .